NIA CHARLESTOWN NEVIS (September 12, 2014) — Premier of Nevis Hon. Vance Amory, will meet with nationals of St. Kitts and Nevis in Southern Florida, at a town hall-style meeting on Friday September 12, 2014. It will be held at the Country Club of Miami on 6801 NW 186th Street, Miami Florida 33015 from 6:30 to 8:30 p.m.
That disclosure came from Mr. Amory in a report he filed with the Department of Information on September 12, 2014, regarding his working visit to the United States of America (USA). According to Premier Amory, the meeting was organised by the Nevisian Association of Southern Florida, through the instrumentality of Clinton Weekes, the Association’s sitting President and his executive. He stated that the Association was an active one and they hoped that the meeting would engender greater interest and therefore, wanted to commend them for their continued support to events and groups in Nevis. 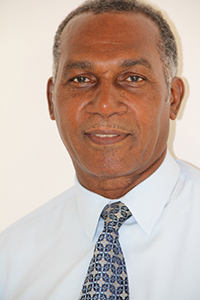 “The Association has been supportive of many social and educational events in Nevis among them the annual Book Feud for the last five years; granting of scholarships for some students at the Charlestown Secondary School; assisting the Ivor Walters Primary School with athletic gear; providing supplies for seniors at the Flambouyant Nursing Home and providing chairs for the Alexandra Hospital,” he said.